Over 200 children and adults gave a rousing reception to Uganda's Minister of Education and Sports Janet Museveni and Chinese Ambassador to Uganda Zheng Zhuqiang, accompanied by StarTimes TV personnel, when they switched on a satellite TV at a symbolic launch ceremony held on July 22. The venue was the Kakiri SOS Children's Village School in Uganda's central district of Wakiso and for this school it was the dream come true. The launch is part of a wider project funded by the Chinese Government to enable access to satellite TV in Uganda and Africa at large, aimed at expanding information through technology. The Kakiri SOS Children's Village School is located in a remote area and is for orphans whose parents died mostly from HIV/AIDS or children abandoned by their parents. For many of these children and villagers residing near the school who attended the ceremony, this was their first time they had ever watched television. Speaking at the launch ceremony, the guest of honor Museveni, who is also the country's First Lady, thanked the Chinese Government for donating satellite TV sets and dishes, saying it would have a positive impact on society. "I thank China for donating satellite TVs to our people. Apart from providing entertainment to members of society, the project will support education and encourage digital learning in schools by providing digital aid in the form of projects," she said, adding that local communities will have the opportunity to access educational content focusing on science and technology. Museveni noted that the satellite TVs will help in implementing lesson plans and demonstrative education and will also boost the government's drive to improve all aspects of technology. One of the school students, 14 year-old Ruth Namyalo said that it was the first time she had ever watched TV and was very thankful for the donations which would enrich her life. An elder at the function, Nelson Mukasa said that the satellite TVs will keep the students busy and interested so they will have no time to get involved in negative activities like drinking alcohol, smoking cigarettes or bunking school. The TVs will help with people-to-people cultural exchanges by creating mutual understanding through entertainment and information shared between Ugandans and Chinese. Where the TVs have already been installed as pilots, they were an instant hit with local village farmers because of the agricultural technology used by Chinese seen on some educational programs. 'I watched on the satellite TV donated to us by China and was amazed at how the Chinese farmers rear fish in rice gardens. I was surprised at the size of the big fish which feed on particles that come from the rice plants. I am going to try to do the same in my rice garden,'' said 50-year-old Abdu Kabugutu, a Kakiri farmer. StarTimes, a Chinese multinational media company broadcasting across Africa, has been contracted to roll out the project, which is powered by solar energy to ensure sustainability. Apart from homes, the satellite TVs will also be installed in communal village halls. 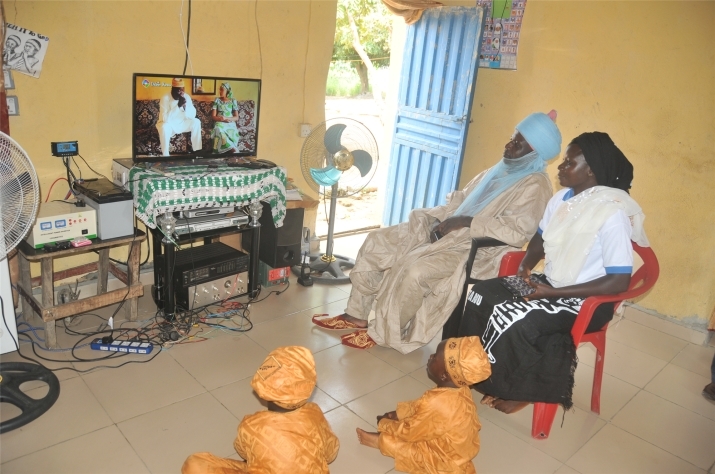 Along with the free TV sets and satellite dishes, the package allows beneficiaries free access to at least 20 local and international channels broadcasting news, sports entertainment, education documentaries, and music. Speaking at the launching ceremony, Ambassador Zheng said, "China will continue to support Uganda and other African countries in their development programs." He said the $12-million project is funded by the Assistance Fund for South-South Cooperation established by China, adding that the donation of free satellite TVs is an outcome of the Forum on China-Africa Cooperation (FOCAC). During the FOCAC Johannesburg Summit held in South Africa in late 2015, Chinese President Xi Jinping said that to build a China-Africa comprehensive strategic and cooperative partnership, China would implement 10 cooperation plans with Africa in the following three years. The ninth plan was to implement a China-Africa cultural and people-to-people plan. He noted that China would build five cultural centers in Africa and provide satellite TV reception to 10,000 African villages. That pledge is materializing with the launch of the project in Uganda. Zheng said the satellite TV reception project is the second aid project implemented by the Chinese Government in Uganda using the Assistance Fund for South-South Cooperation. "Previously, in order to help the Ugandan people solve their food problems and ease the relief pressure of the Ugandan Government, the Chinese Government had cooperated with World Food Program to provide the emergency food aid to Karamoja region with the contribution of $5 million by the Assistance Fund for South-South Cooperation," he said. Uganda is one of the pioneer countries in Africa to benefit from the satellite TV project. 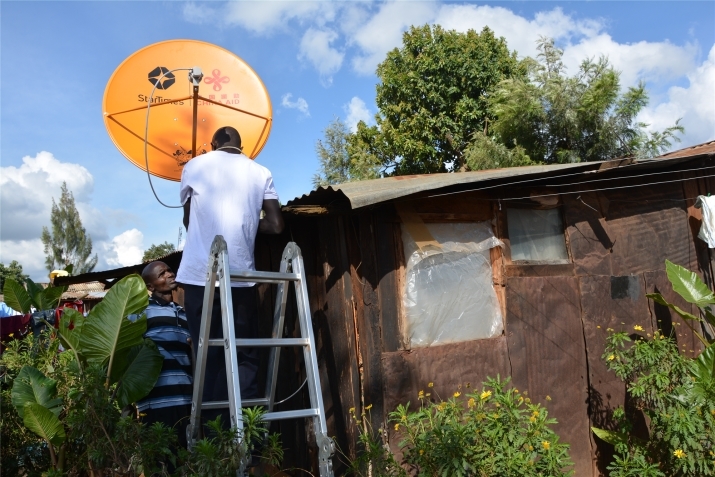 At least 10,000 families in 500 villages across Uganda will soon have access to free satellite TV as connections continue. The Country Director of SOS Uganda that manages Kakira SOS Children's Village School Olive Lumonya said that the impact of China's donation of satellite TVs to the school will be long lasting, saying they will improve the learning environment for less privileged children who are under the care of the organization. "Our teachers and students will definitely benefit a lot from the donated satellite TVs. The impact is long lasting. Our teachers will be able to teach using televisions, and our students will access news and embrace interactive learning," said Lumonya.